My winter garden is rapidly coming to an end as warmer weather and longer daylight hours of spring arrive. My Chinese cabbage grew very well this winter, I am pleased to say. I’m going to make one of my favorite salads — Ramen Chinese Cabbage Salad — with the last cuttings. 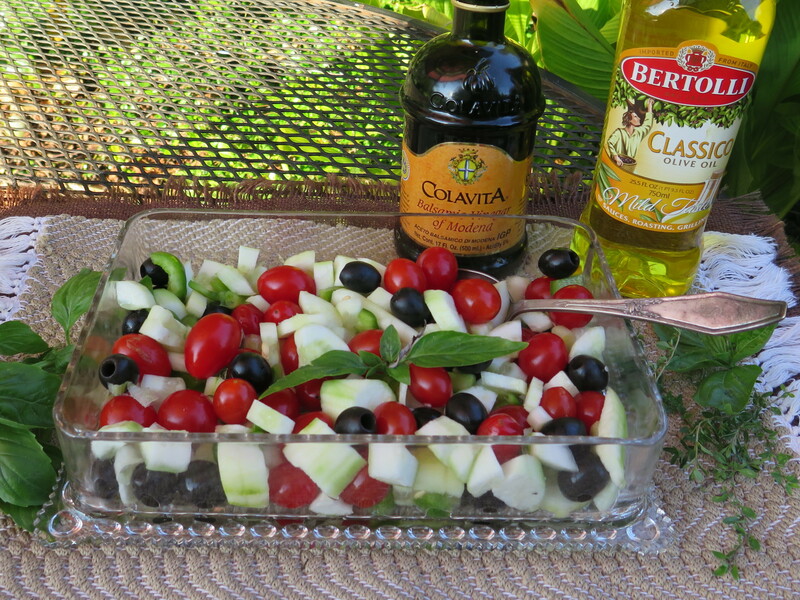 This salad is easy to make and is very healthy, too. How nice to have a healthy vegetable which also tastes great. 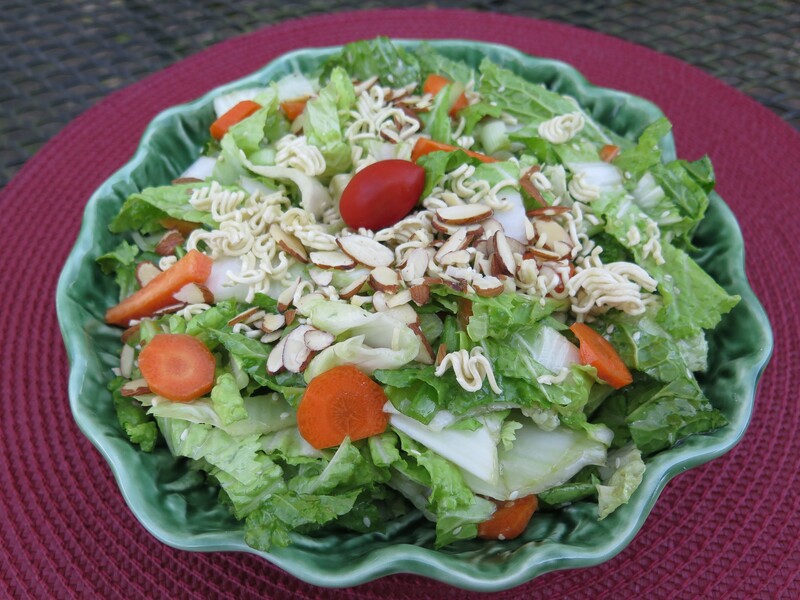 The salad has plenty of crunch which includes the “surprise” ingredient of dry ramen noodles. 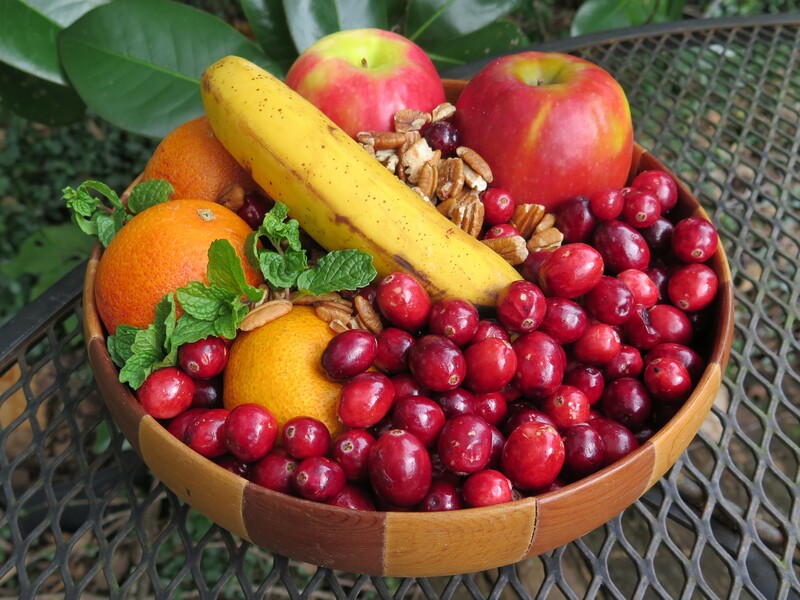 Cranberries add a festive and refreshing touch to holiday meals. The tart flavor of cranberry sauce helps tone down the rich flavors of a large holiday turkey meal. Doesn’t cut the calories of the meal you just ate, but it does cleanse the palate. Last weekend company was visiting — they helped with the cooking. My niece and I created wonderful fresh fruit compote with cranberries and foods on my kitchen counter. We served the dish at almost all meals and discovered it was a satisfying substitute for high-calorie desserts. Guess we found a way to save on calories, after all. Winter greens such as mustard and collard greens have never been my favorite vegetable. But when a co-worker brought her version of Louisiana-style mustard greens to work one evening, I had a new opinion. This dish was so good. It is flavored with typical Cajun seasonings and bits of ham and simmered slowly on the stove — as in old fashioned southern cooking. Best of all, greens are “good for you” — plenty of healthy benefits. 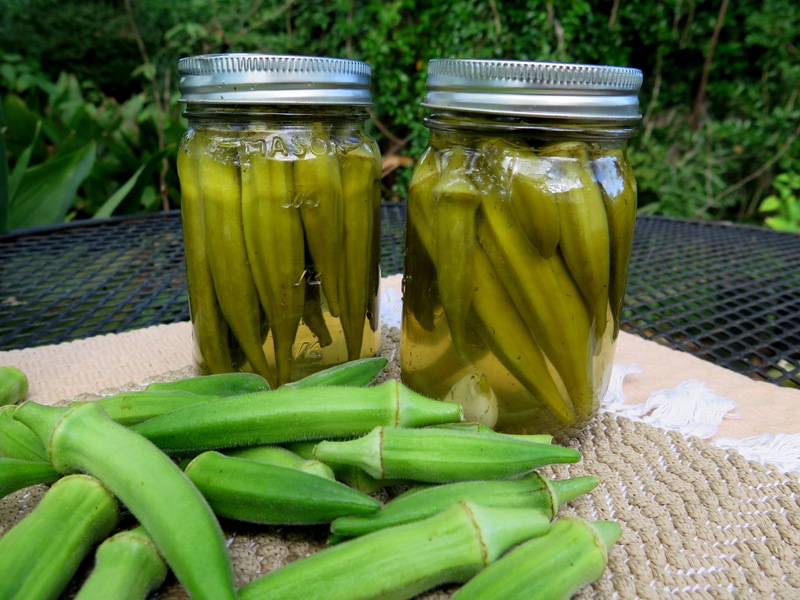 Don’t overlook this often forgotten vegetable; especially when it in season in the fall and winter. 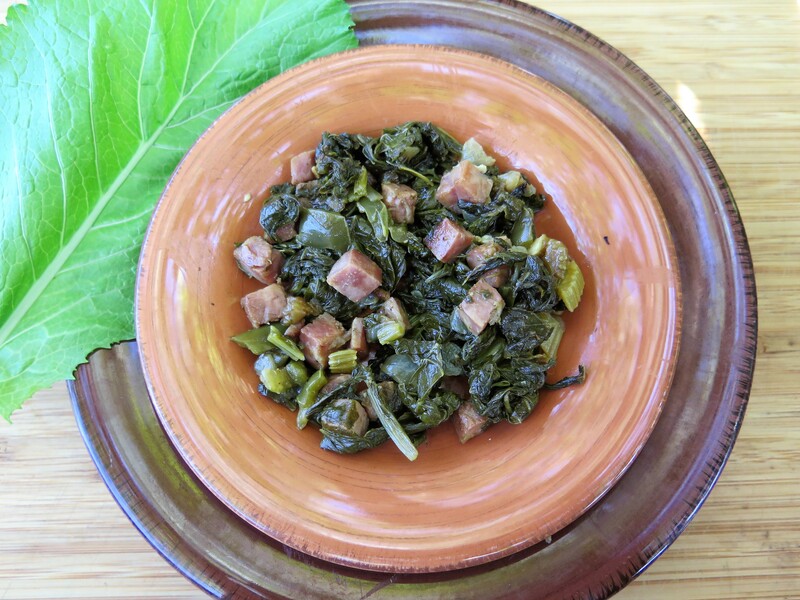 Here is my co-worker’s recipe made with mustard greens from my garden. My favorite vegetable any time of the year is a ripe and juicy tomato. It has to be a home grown and vine ripe tomato; not the grocery store variety which has been picked early and shipped a long distance. Here’s a savory stewed tomato recipe that I’ve made many times and perfected over the past year. I use both fresh Louisiana Creole tomatoes as well as canned tomatoes and added a few other ingredients for a savory flavor. Eat your vegetables. Never thought that this could include summer squash — squash was not a favorite vegetable when I was young. But over the years, I’ve discovered some tasty ways to prepare this vegetable. 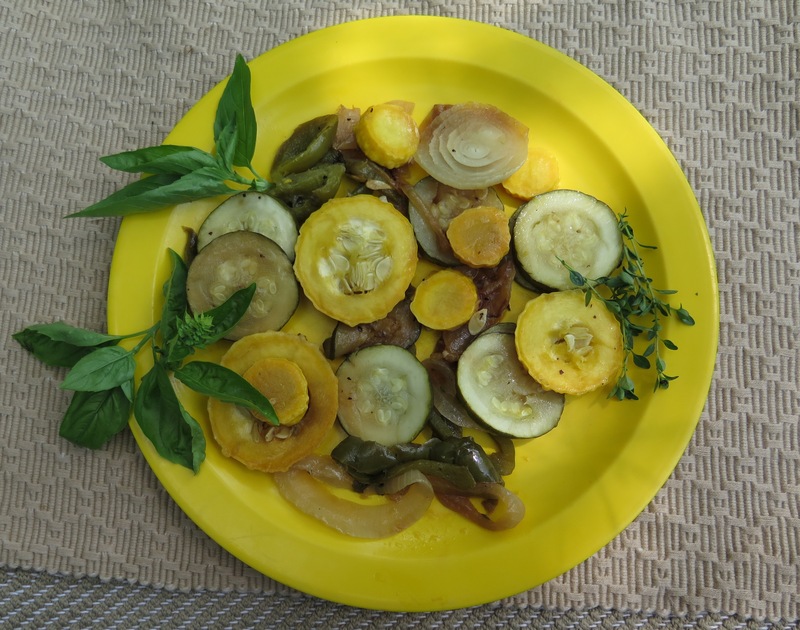 I have a plentiful supply of basil and summer squash growing in my garden and found two very similar recipes which include these two ingredients — one is sweet; the other sour. What’s my favorite summer salad? Simply tomatoes and cucumbers marinated in red wine or balsamic vinegar and olive oil. I could eat this salad every day. The combination can easily be jazzed up, too, with a few other ingredients.